What if you could listen to your entire music library—you know, all those hundreds, or even thousands, of MP3 music files on your PC or Mac—whenever and wherever you wanted to? Sure, you could transfer your songs to your iPhone or iPad, but not everyone has enough room on their handsets for all those tunes—especially when it comes to music lovers with a gazillion digital albums sitting on their desktop hard drives. Enter iTunes Match, a just-launched music service from Apple that features an online, digital “locker” for all your music, which you can stream on your iPhone, iPad, or iPod Touch, so long as there’s an Internet connection handy. You’ll also be able to stream “matched” music from iTunes on your Apple TV. Now, iTunes Match isn’t the only so-called digital music “locker” on the market; Amazon, for one, offers its “Cloud Player,” and there’s also Google Music. iTunes Match scans all the music on your hard drive, and then “matches” them with high-quality versions that you can stream from iCloud. 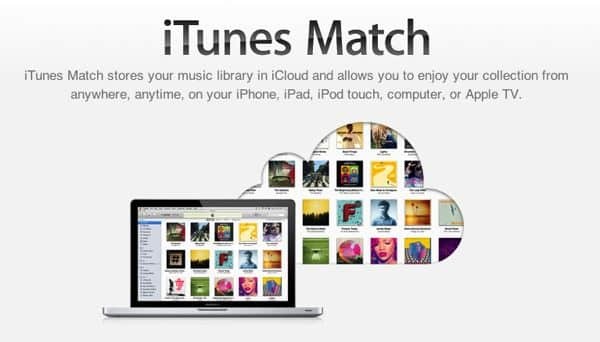 But iTunes Match offers a clever feature that Amazon and Google don’t (or at least, not yet): the ability to scan the music on your hard drive, and then quickly “match” those songs with high-quality versions of each track that are already sitting on Apple’s iCloud servers. That’s a much speedier process than uploading each and every MP3 you own to your digital music account—a chore that could take hours or days, depending on the size of your music collection and the speed of your Internet connection. Of course, iTunes Music comes with strings attached. For starters, it’ll cost you: think $25 a year for 25,000 songs (any tracks purchased from iTunes don’t count against the limit, by the way), plus more for additional storage. Also, while Apple has about 20 million tracks in its iCloud library, it probably won’t be able to match everything in your personal collection—and that means you probably will have to upload at least some songs to your music-locker-in-the-sky. So yes, you may still be in for a long wait, especially if you have a lot of obscure tunes on your hard drive. So, ready to starting scanning and matching? Here’s how to get started. First, you’ll need the latest version of iTunes (10.5.1), which Mac users can grab by launching iTunes and selecting “Check for Updates” from the iTunes menu. On a PC, launch iTunes, then select “Check for Updates” from the Help menu. If the latest version of iTunes doesn’t pop up, you can download it directly right here. You should also sync your iPhone, iPad, or iPod Touch with iTunes before switching to iTunes Match. The reason: iCloud will wipe all the tunes stored on your iDevice before replacing them with music from iTunes Match. Theoretically, that shouldn’t be a problem, since all your music should still be sitting safely in the iTunes library on your Mac or PC; that said, better safe than sorry. On iTunes, click iTunes Match in the left column, then click the blue Subscribe button once you’re ready to pay the $25 annual subscription fee. Next, iTunes should begin the process of scanning your music library, sending the results to Apple, and then determining how many songs it can match. The process should take anywhere from 10 minutes to half an hour, depending on the size of your music collection—and once that’s done, any matched songs will be available in iCloud, ready for streaming or downloading. So, what about the songs that iTunes wasn’t able to match? Well, they’ll have to be uploaded one by one; iTunes will do it all automatically, but again, if you have a lot of obscure music to upload, you could be in for a long wait. 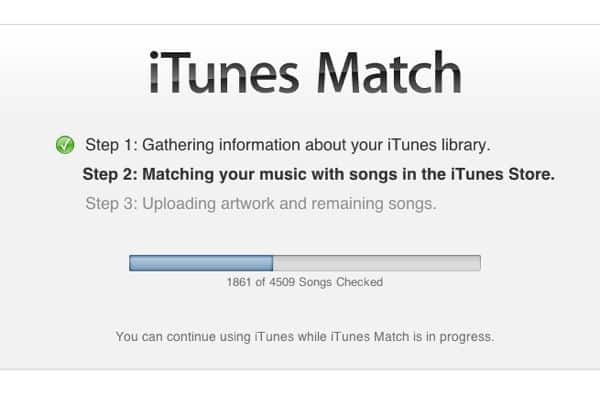 The good news, though, is that you can keep using iTunes even as iTunes Match continues to grind away. Ready to start streaming your iTunes Match-ed music from iCloud to your iPhone, iPad, or iPod Touch? On your device, tap Settings, Music, then switch iTunes Match to “On.” You’ll be warned that all the music on your handheld will be deleted and replaced by your iCloud tracks; go ahead and tap “Continue” (and remember, because you synced your iDevice with iTunes, any music stored on your handset should be safely backed up on your PC or Mac). 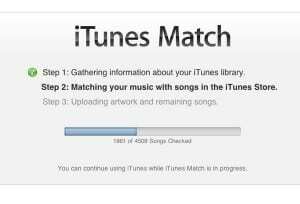 Note: I recommend turning on iTunes Match on your iPhone or iPad only after iTunes Match is finished processing and uploading all your songs; otherwise, you might be left with frustrating gaps in your mobile music collection. Once you’ve got iTunes Match enabled, you’ll start seeing some strange new “cloud” icons in your iTunes library; some indicate duplicate tracks, others designate songs that are still processing, while still others flag any tracks that iTunes wasn’t able to upload, Click here for a chart that decodes the meaning of the various icons. Have any questions—or problems, for that matter? Let me know; I’m still in the process of testing iTunes Match myself, so we’ll figure it out together.